Today I want to look at DPNs - Double Pointed Needles - You know the ones that look awfully complicated and are always used in sets of four or five to knit socks, gloves and even sleeves. 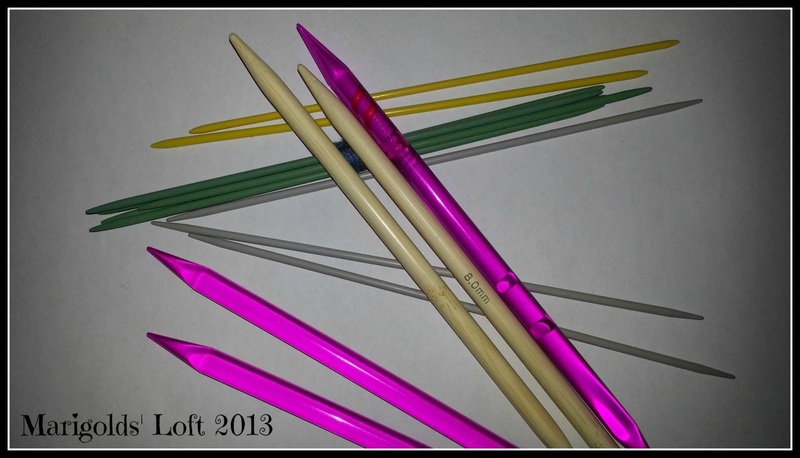 I must admit my favourite material for these are my Bamboo needles, light weight and so handy to use. But that said if I am knitting a bag to felt, I always grab my KnitPro Acrylic DPNs to hand. Which DPNs do you prefer? Do you use 4 or 5 needles? Do come by tomorrow where I will be talking about Circulars - my favourite kind of needle and will be offering you an AWESOME Give-Away Opportunity!! I hope you also have a wonderful Sunday, no sun for us though, we are in the middle of the clouds today! I recently discovered the 'magic loop', do you know it? it's for knitting small things in the round on circular needles, thus it can replace dpn's. This appealed to me as my main grippe with dpn's was that 'one' that I was not using would always slip out! and I always ended up loosing one!! I suggested to the lady in the yarn store that maybe she could open a pkt and sell them individually, for people who always 'lost one', she said that no one else has ever requested buying one dpn!!! However I have now returned to dpn's (metal) in favor of the magic loop as I find that they make my work neater, I just have to be a bit more careful about loosing them! I think I will get some in bamboo or bouleau, maybe they won't be so slippery. Enjoy your sunday, I'm going cross-country skiing with the kids, my husband is across the border in your country (cross-country competition). I wonder what the lady at the yarn store thought LOL, I would have loved to be there! I don't think that was a strange request at all, rather quite a far-sighted one, that would have been nice had that been the policy. Like what Regula said about the Bamboo tips of the DPNs, it would be nice if I could go and replace just the one I have to throw away because of the split ends instead of buying a whole pack of them each time! 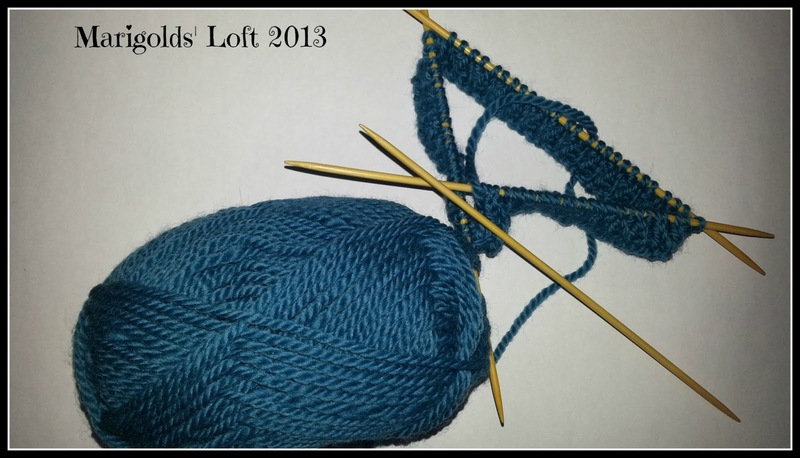 Yes, I do know the magic loop and try to use it on occasion, but I feel like you do about the DPNs, my work just looks neater when I use them to knit a sock for example.